Math and Chemistry Tuition that helps you score the "A"
I attended Mr Ang’s lessons since early J1 and Mr Ang’s weekly lessons really helped me in my understanding of math. Throughout the 2 years, his lessons were always very interesting and fun. They also gave me many opportunities to clarify my doubts and exposed me to different types of challenging questions. His humour also helped to make the lesson more lively. Mr Ang’s detailed notes are very useful and he is also always willing to help us out when we have extra questions to ask. Thank you Mr Ang for the enriching experience! A1 for both A and E math in the “O” levels! Before I came here, I was really bad at math. I always failed my A math and could not pass any tests in school. I was always getting F9 for tests and that made me very demoralized. 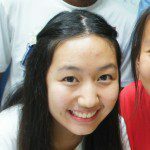 However, after I joined Mr Ang’s tuition, I improved by leaps and bound. I got an A1 for Emath, A2 for A math for my prelims and eventually got A1 for both A and E math in the “O” levels! Thank you Mr Ang! Your math lesson has greatly improved my understanding of mathematics! Your math lesson has greatly improved my understanding of mathematics! Even though I joined pretty late, I can feel the improvement in my mathematic. I’m now more confident in doing math questions and I got a B for math! 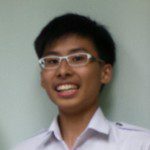 I was a straight U or S student for math throughout JC… Thanks a lot for your guidance! I am very grateful to Mr Ang for his coaching in Maths, as he makes JC Maths easier to understand. The notes he gives are comprehensive yet covers the primary skills for each topic, that I do not feel overwhelmed by the sheer amount of things I need to learn per topic. But of course, merely reading the notes will not go far without the fiery passion provided by the tutor. In this department, Mr Ang does not disappoint! His enthusiasm in Maths coupled with his understanding of the problems students today face with the JC Maths syllabus makes him, in my opinion, one of the most dedicated and patient tutors I have learned from. I am especially delighted that given my hectic schedule juggling between A levels and National Service, thank god, Mr Ang has live online lessons and video lectures I can review to fit into my schedule. 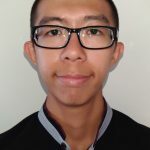 Being able to relate to students’ problems in Maths, breaking down seemingly complex problems into simple concepts and a burning passion towards Maths combined with utilising the power of technology into classroom teaching has made Mr Ang’s Maths lessons a joyful experience. I do not promise that Maths would be a breeze under his tutelage. But I can assure you the road ahead towards that A would be less bumpier with his guidance. To Mr Ang, thank you for your patient guidance! I hope to make you proud in my A levels, no matter how much I struggle with my time management. To prospective students, I do not hesitate to recommend NumberSkill as the right tuition for you! May Mr Ang inspire you to love Maths, as he has done for me. Mrs Ang makes Chemistry lessons enjoyable and helps us to gain confidence in the subject!! 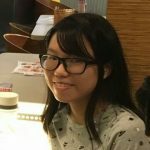 Although it has only been a few months since I have joined Numberskill’s Chemistry tuition class, I am really glad that the lessons have helped to raise my confidence in the subject and I have also seen a significant improvement in my test results! 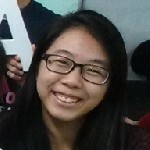 Thank you, Mrs Ang, for being such a caring teacher who makes Chemistry lessons so enjoyable and beneficial for us! Now, I am able to grasp Chemistry concepts much better and the extra worksheets we do in class provide great practice! Chemistry has become one of my favourite subjects through attending the classes, and I am really thankful for Mrs Ang’s guidance and help! Mr Ang is a very dedicated and patient teacher!! Mr Ang is a very dedicated and patient teacher!! He always manages to make math seems fun and easy and more approachable. His belief and confidence in our abilities motivates us to strive for our very best for each exam/test!! Not to mention he always forks out time for us outside tuition lessons to answer our questions amidst his busy schedule. His lessons are very enjoyable. He also puts in a lot of effort to make his lessons interesting and thus every lesson is very enjoyable and always filled with joy and laughter 🙂 Mr Ang is also a very tech savvy person!! The way he incorporates technology with math has helped me view math in a totally different light. Like which math teacher would literally draw out a 3 dimensional plane, painstakingly plotting out all the points, just to aid your visual learning?!?! You only get this at numberskill Math Tuition. Mr Ang is very nice and teaches interestingly. He links O-level concepts to A-level topics, this helps students bridge the gaps more easily and understand the new concepts more readily. He also gives a variety of tutorial questions, exposing students to different types of questions. Helpful and approachable teacher! My grade improved from D7 in mid year to A1 in common test 2. I always enjoy lessons as they are fun and engaging too. Mr Ang is a dedicated teacher who will readily help you, even after class, with any math question you’ve faced while revising. Before attending Mr Ang’s lesson, I have always doubted the effectiveness of a class tuition. However, i was wrong after attending his lesson. Mr Ang usually keeps his class size small to ensure that each student will comprehend the concepts extensively. His notes includes questions of varying difficulties for greater exposure. Also, every lesson is recorded and uploaded for the convenience of students who wish to re-visit a certain concept. With his guidance, my math has improved greatly. Thank you Mr Ang! Thank you Mr Ang for making lessons fun without losing focus on the lesson. I was always shocked how math could be solved in those different ways. Thank you for reigniting the spark in me for math and giving me the motivation to do well in that subject! Mr. Ang is a motivating and dedicated teacher. Because of Mr. Ang, I have gained a lot of knowledge about math, especially simple and concise way of solving the most complicated questions. He makes lessons enjoyable, and at the same time, fruitful, as we learn. Other than his knowledge and skills that he has imparted to me, he has definitely gave me something that cannot be measured through the results I have achieved: the intense passion for math. All in all, Mr. Ang is an all rounded teacher who not only teaches but touches hearts, with his willingness to spend time with his weaker students and his easy going character. Before coming for tuition, my mathematics results was not really up to standard, getting B or C when I was in secondary 2 in 2010. 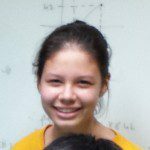 After joining numberskill, my mathematics results improved. Mr Ang is a patient tutor who will teach me till I understand. He will go through the topic before every of my class test. He will teach us short cuts like synthetic division and cover-up rule so that I can save time during my examinations. For the past 4 years, he did not give up on me and tried his best to help me reach my aims. Now, I am confident in doing mathematics after joining numberskill. Mr Ang is a dedicated teacher willing to go the extra mile for his students. He shows care and concern for his students and tries his best to help us understand the math concepts. His creative methods and simple tricks allow me to remember my work better. Before I went for Mr Ang’s tuition, I struggled with my math but through his help, I was able to improve both my maths to an A1 grade for my prelims. My 3 years with Mr Ang was an enjoyable and fun-filed years as he made math interesting and seemed manageable. Thank you Mr Ang for your help in getting the As in O levels. I am very glad I came across that advertisement that made me enroll to here. Without Mr Ang’s support I really don’t think I would have gotten such a strong foundation for math. Mr ang makes concepts very clear and provides useful tips to help us remember them well. I highly recommend Numberskill for those seeking significant improvements in math! Mr Ang never follows the rigid structures of the notes most schools provide. Instead, he simplifies novel concepts and delivers them in such a way that every student understands. Although these concepts are simplified, they are as in depth as the schools notes. He also ensures that every student understands and is able to solve the various question types before moving on in the lesson. In fact, I learn more here than in school. Apart from the teaching, the environment too greatly suits learning. That’s why in the 5 years I have been with him, my grades for Math has only improved. Thank you, Mr Ang, for being a dedicated teacher who never fails to make math more enjoyable! The lessons are very fun and the structure of the lessons is well paced such that I am able to follow the lesson as well as understand the content! I am grateful that you put in the extra effort to answer our all extra questions! Thanks again Mr Ang! I have really improved in my math during my time at numberskill Math tuition. Mr Ang is able to teach the math concepts and problems in a very fun and interactive manner. This has allowed me to really understand the concepts and helped with my math. It was a very enjoyable experience at numberskill. 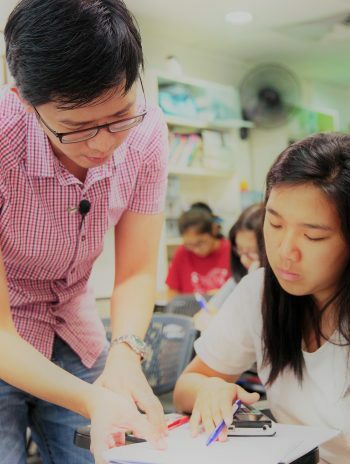 Mr Ang is a dedicated, down-to-earth, inspiring and patient tutor who helps students to easily assimilate complex mathematical concepts without losing depth, which is essential in order to score for H2 Math. 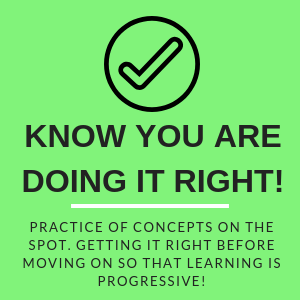 Many who are struggling with H2 Math (like myself) would understand that confidence, coupled with the right amount of the right type of practice are often lacking, which results in undesirable grades. Mr Ang’s lessons effectively tackle these areas of weaknesses, but it doesn’t stop there – he makes a point to instill in every student a solid foundation for each topic (that your school won’t really teach) and relate these mathematical concepts to real-life, which is especially important in the revised 9758 syllabus. The enriching yet entertaining lessons effectively encouraged me to press on and realise that there is nothing that cannot be solved if you really know the principles behind what you’re learning. Thank you Mr Ang for all the help you have rendered in the arduous 2 years of JC! I joined Mr Ang’s class when I was in secondary three. I was not even passing my math examinations in school and I really felt that I had no hope for math and that I was not a math person at all. However, after joining his class, I slowly felt more comfortable towards doing maths. This is all thanks to Mr Ang who is always willing to help in and out of class whenever I have any questions. I have been in Mr Ang’s tuition since secondary 3 and have since followed him all the way up to JC2. I find his lessons very unique compared to other tuition teachers. He engages his students very well and makes learning math fun. He incorporates technology into his lessons which makes learning much more engaging. I always look forward to his tuition classes every week because I know that my 2 hours with him is going to be enriching and well spent. He was the one who sparked my interest for math back in secondary 3 when I was doing really badly. I went on and got and A for O levels and A for H2 math in A levels. After attending Mrs Eileen Ang’s Chemistry class, I realised my concepts for the chemistry topics became very clear, hence, I do not need to keep referring to my notes while doing worksheets during revision. Her lessons helped me a lot! Having struggled in Chemistry in school, I am glad to say that under Mrs Ang’s tutelage, I have seen an improvement in my test results! Even though it’s only been a few months since I joined Mrs Ang’s Chemistry tuition class, I am clearer with my concepts and have gained skills on how to apply this knowledge to score for my paper. Thank you Mrs Ang for decoding Chemistry for me and never failing to make every class fun! 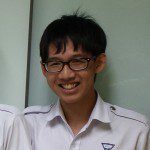 Mr Ang is a superb immensely dedicated and highly passionate mathematics teacher! I’m the only student from the East side who would have the “sanity” to travel 20km tö and fro each for his lesson, as the distance traveled is well paid off during lessons- his concise teachings & constant reminders of common conceptual mistakes are deeply engraved in my mind. He also offers personalised consultation on whatsapp and is very prompt to reply to any queries we have regarding school work/our revision. He allows those who were relatively new in JC2 to freely attend JC1 lessons to concretise & reinforce our JC1 topics. For that I am greatly thankful to Mr Ang for making maths lessons really engaging & thrilling with anticipated challenging AJC questions posed to us weekly(and many more). I was struggling for chemistry and got a C5 for the mid year common test. Then I went for chemistry tuition at Number Skill and the clear and detailed explanation helped me get a high A2 for the next common test. This was possible thanks to Mrs Ang-Tan Eileen! After joining Gary in JC2, I immediately felt a difference in the way I grasp mathematics. Gary teaches with different techniques to help students grasp concepts in each topic. I always thought Maths did not need understanding but I realised I was wrong when I joined his tuition class. He prepares his lesson well and his resources are very useful. Moreover, Gary is a very kind and patient teacher, who is always willing to help his students whenever and wherever. I am really grateful for having him as my teacher. I started with Mr. Ang during my JC1 year and he has helped me greatly in understanding concepts and in solving questions. His style of teaching is easy to grasp and he will patiently explain the same question until it is completely understood by each student. Although sometimes we encounter very tricky questions, he never fails to solve them and teach us the different methods of coming to the final answer. He also gives us papers of different difficulty levels so we get to try out all the possible kinds of questions that could come out. I have greatly enjoyed my lessons with Mr. Ang. He has been an excellent teacher. The teacher with the coolest whiteboard. 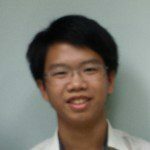 Mr Gary Ang, is a caring teacher who cares deeply for his students. He actively engages all of us with the use of really cool technology, such as his whiteboard. He teaches consicely and with passion. Mr Ang’s lessons had always helped me to understand each topic fully. His notes are succinct and easy to understand, even for the difficult topics. Hence, Mr Ang’s notes were always on hand right before I enter the examination hall, to help me remember the skills I needed for the math paper. The board that Mr Ang uses goes a long way in helping me visualise some concepts. The fact that all his lessons are recorded for me to watch them again also helped me in my topical revision closer to A levels. In addition, his lessons were always a joy to attend, as his jokes and friendly personality makes the class atmosphere light. This also made me feel more comfortable to ask questions and clear any doubt I had. With the materials Mr Ang gives and his passion for teaching, it’s hard not to be more confident in my ability in Math. What is the need for school when you have Mr Ang? When I joined in secondary four, my EOY results for the previous year was an E8. 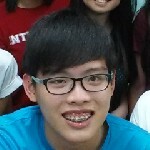 I felt discouraged and only hoped for a B3 during my O levels. After joining Number Skill for only a few months, my mathematics skills improved tremendously. Mr Ang taught me many tricks and tips that can help me improve my grades. By the time I took my mid year papers, I actually passed! I feel encouraged by his words and I’m confident that it is possible for me to get an A1! With his support and teaching, I think anyone can get their As! I joined this class during my secondary two December holiday. My maths were really terrible back then. After attending Mr Ang’s class for almost a year now, I have certainly improved on my math skills and I’m much more confident in maths now. He is a caring and hardworking teacher who is always willing to teach us beyond our stipulated lesson time. Before I came here, I was really bad at math. I got zero for E math and A math at the start of the year and I was at a loss of what to do. That was when my friend referred me to numberskill. Before the first lesson, I had the impression that math tuition would be dry and boring. I though it would be difficult to catch up on my math grades with only 8 months left before my “O” levels. In Mr Ang’s class, it is also possible to have fun while working hard. All in all, if you go for Mr Ang’s class and you put in the effort, nothing is impossible. If there were any math tutor I would refer people to, even if I were asked 1000 times, I would recommend Mr Ang’s class. From zero to A1 and A2 in “O” levels, I’m not joking. I am a private candidate sitting for the GCE A levels for the second time now in 2015. 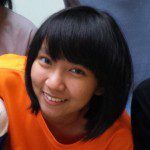 I approached Numberskills around June this year (2015) in the hopes of finding an experienced tutor who is able to clear my doubts which I had accumulated quite a number of during my self-study this half year long. However, I was more inclined towards a correspondent method of tutoring due to my vision impairment which hinders me from following group tuition classes smoothly. I hoped that the tutor from Nunberskills could allow me to learn through such online methods, but I knew it wouldn’t be easy for any tutor to agree to that. It was inconvenient and time-consuming. I met Mr Ang, the principal tutor of Numberskills and found him very approachable and understanding. He expressed great empathy towards my predicament and offered an alternative way of helping me. He made an exception case for me to be able to utilize his online tuition facilities which he has yet to open to public consumption, and I agreed to give it a try. On hindsight, it was the right choice to make. Back at home, I began to view the recorded videos that Mr Ang has posted into his website, allowing me to watch them at my own free time and pace. They feature Mr Ang’s detailed guidance in solving some of the most typical and high-order thinking questions that are bound to be tested in the exams, which serve to highlight to its viewers the trend of exam questions and exactly which key points to take note . Mr Ang emphasizes vital learning points in his teachings through a variety of ways, including repetition, more similar questions in that typical concept, the use of different colored annotations and so on. Regardless of visual or audio effect, Mr Ang conveys his teachings to his viewers through the videos rather explicitly and concisely. Over a month or so, I have watched a total of almost 20 Numberskills videos. Hence, I have a better grasp on the method of answering more complicated questions. As my understanding on these higher level math problems improved, new questions are raised of which I require deeper explanation. Fortunately, Mr Ang arranged for a Skype session with me to allow me to clear my doubts with him all at once. It proved to be very effective and time-saving. I feel that the Skype sessions could be so productive because the explanations in the videos are detailed and comprehensive enough such that the doubts that I have are comparatively minimal and straight to the point. I feel that the online tuition from Nuberskills is of high quality and very fulfilling for a new launched platform. 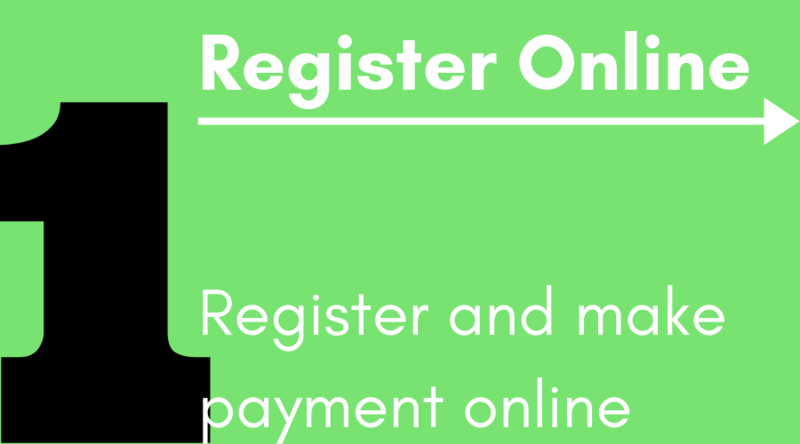 All in all, I discover great potential in online tuition provided by Numberskills, a great part of it is attributed to its dedicated principal tutor and the quality of the pedagogy. I hereby express my utmost gratitude to Numberskills and most importantly to Mr Ang, who has extended his help to me time and again in my journey towards A Level this year. Thanks for guiding me to distinctions in both O and A levels! Mr Ang, just want to say thank you for your guidance for the past 5 years. I really enjoyed your lessons. Thanks for guiding me to distinctions in both O and A levels! 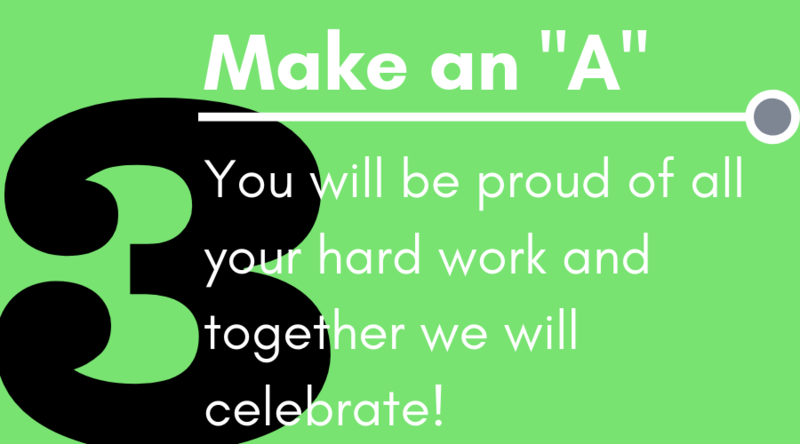 Do continue to help more students achieve As! Mr Ang is a very diligent and motivated teacher who puts in his best effort in equipping his students with relevant skills for math. His teaching is also clear, simple and suited to the understanding of students. At the same time, he is approachable. I am able to inquire about any queries I have during lessons or simply just by sending him a text. Under Mr Ang’s guidance, I had better grasp of math concepts and the confidence to tackle any questions. Mr Ang taught me during my upper secondary years and without doubt, my Math grades have improved by leaps and bounds. Initially, I was failing A-Math before I came here, but my grades became better within a few months. 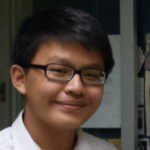 Mr Ang’s lessons are also really interesting, and I find his style of teaching very unique and special, utilising technology and redefining the process of learning math. Thankful to have known you since secondary 1! Mr Ang is really such a funny, inspiring, patient and good-at-teaching teacher. I really owe it to you that I’m confident in my mathematics. Thankful to have known you since secondary 1! 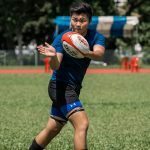 Mr Ang conducts very entertaining lessons and always ensures we understand the concepts, he also provides in-depth information on various topics. His notes are concise and provides useful tips. Every lesson is well-crafted and well-paced. This is the best math tuition that I have attended. His lessons are engaging and helpful for exams for me. Mr Ang is a teacher who always teaches us the shorter and easier methods to solve questions by teaching us shortcuts which were very helpful for me during exams as it saves a lot of time. During lessons, he also adds on questions by himself to let the class think deeper into a certain question and concept which actually helped open our eyes to a whole new method and thought. His classes are hence very helpful and are definitely worth the 4 hours a week! Although it’s only been a few months since I have joined Numberskill’s Chemistry tuition class, I am really glad that my confidence in the subject has gone up and I have seen a significant improvement in my test results! 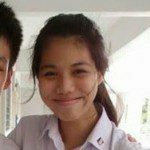 Mrs Eileen Ang is a very caring teacher who never fails to make lessons enjoyable for us, and through her lessons I have managed to grasp Chemistry concepts much better and the extra worksheets also provide good practice. Thank you, Mrs Ang, for all your help and guidance! Mr Ang is a very engaging teacher and he always makes sure that his students understand the concept fully before moving on. He’s also very patient and is willing to take the time to go through concepts that you’re unclear about. He also helps students to truly understand the concepts behind each topic so that the students know what they’re doing instead of just blindly solving questions and putting in formulas without knowing what they mean. This has helped greatly in my understanding of math. Thank you Mr Ang! Sign up for our online courses to learn at your own pace and convenience. Optimal Class Size - To ensure students get the necessary attention they need we keep classes small. Number Skill Replay* - Lessons are recorded in HD for revision or to catch up if students miss a lesson. Learn-In-Advance - We teach ahead of the school (and teach more) so that our students are prepared for tests, for exams, for "A"s.
Focus on Understanding Concepts - We don’t teach students to do math and chemistry, we teach them to understand. Teach the way our Brains Learn - Lectures are short and then always followed by application and practice for optimal retention! Quality Teaching Materials - From the use of technology to the creation of visually engaging handouts, all materials are geared to keep a student’s attention. 4 Locations & Online - Choose one of our 4 locations or take our online classes for your convenience. Guaranteed Improvement: 100% of our students show improvements in their grades after just a few weeks. Why Number Skill Learning Centre? My name is Gary Ang (math tutor) and my wife is Eileen Ang-Tan (chemistry tutor). 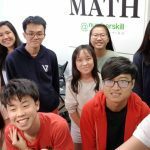 We started Number Skill Learning Centre in 2004 because we love math and chemistry and want to help students not struggle so much with their exams! We understand what it’s like to be overwhelmed by complex concepts and exam stress. 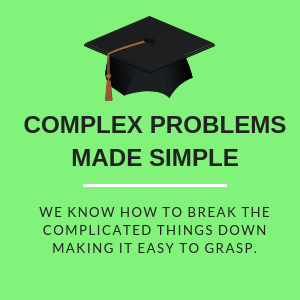 We help make math and chemistry easy for you so you aren’t stressed out by exams. You can stop worrying about your exam results because after you work with us you will see the grades you want to see. We constantly see students come into our classroom worried and stressed out by how they are doing in school. But after attending our classes, they walk out of our classrooms confident and competent ready to take on their exams! Students see their results improve over time and eventually score "A"s for their "O" and "A" level exams. We also see parents who are worried, but after attending our classes, we see parents who are proud of their children’s results. Math and chemistry shouldn’t be so stressful for students. In fact, we believe that everybody can actually begin enjoying math and chemistry! Bad grades? Can't get into the school or course you want? These results aren't for you! 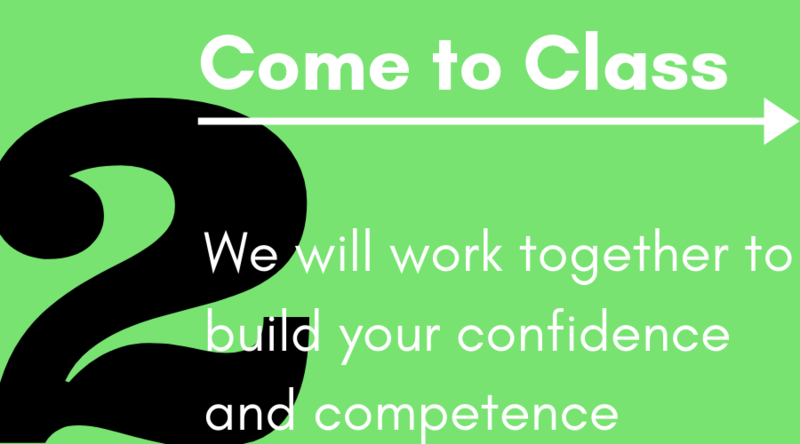 We can help you conquer the exam! 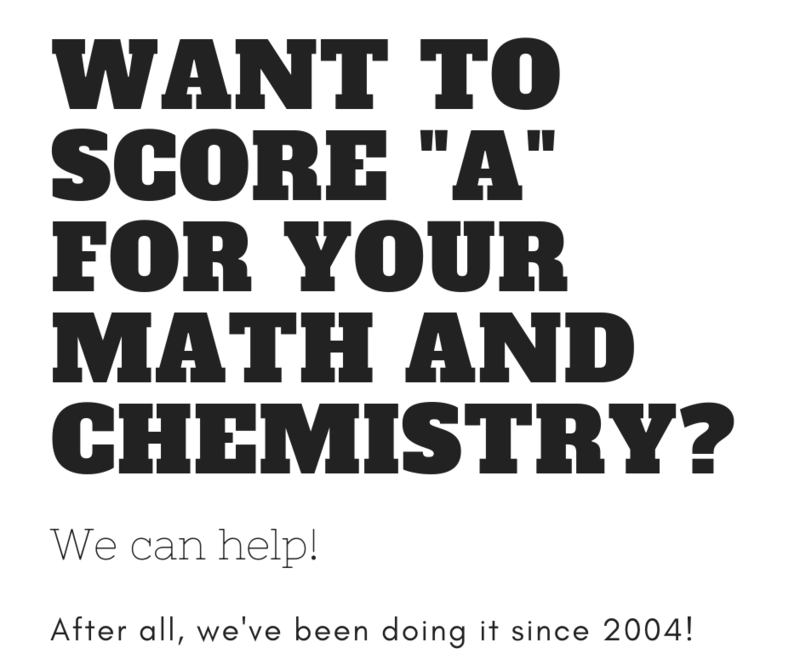 Start tuition today to get the results you want in math and chemistry! and boost your grades while you do it! Have your grades been slipping? Are you starting to doubt yourself and dread going to classes? With numberskill, you can gain access to tuition that will help you restore confidence and truly understand mathematical and scientific concepts. 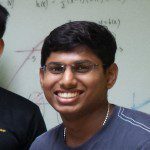 Using practical methods and advanced computer technology, we are proud to have helped many students across Singapore improve their grades. Our tutorials can be done in person at one of our 3 branches in Singapore, or online at your convenience. Which option you choose is up to you! All our math classes are recorded so that you can go over them at your leisure, until you completely master the concept being taught. With proven results and proper guidance, you’ll be pleasantly surprised at how easy math and science can be with numberskill. 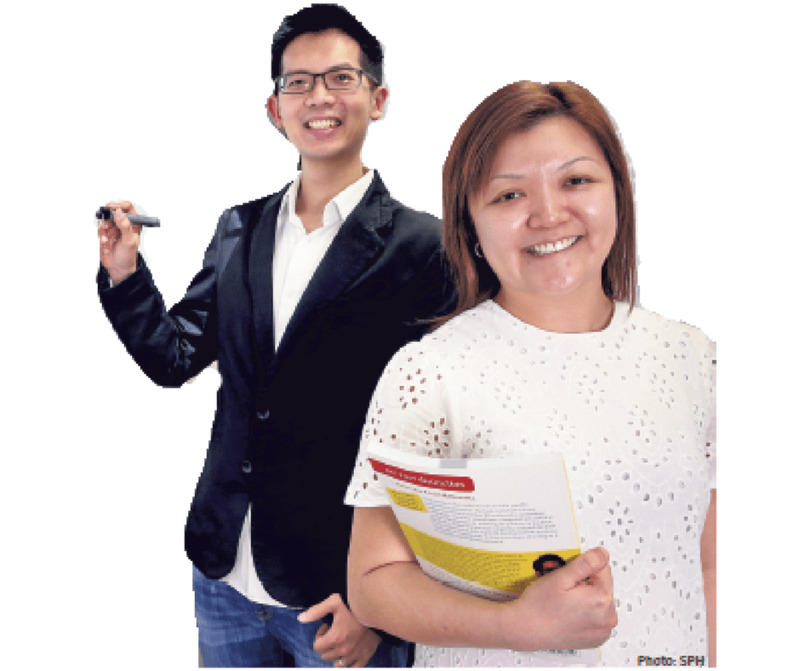 Our principal tutor Gary Ang conducts renowned tuition classes for the benefit of students all over Singapore. His educational background is impressive and extensive - if you’d like to find out more about Gary, visit this page. Chemistry can be a difficult subject for some. Luckily, with sought-after tutor Mrs Eileen Ang, you can experience tuition that has been known to improve grades by at least 3 levels! Using sensible methods to help you better grasp concepts, our flexible classes will prove to be of enormous benefit. We will attend to your query as soon as possible!